From our begginings, Reny Picot has been characterized by its clear cheese-making vocation, from the most artisan to the most innovative creations. The result is the tremendous range of quality cheeses we are able to offer our customers today. In fact, our expertise in the industry is regularly recognized and rewarded by the most prestigious cheese competitions in the world. We would like to make special mention of our Zamorano Cheese, which enjoys the status of Denomination of Origen, as well our goats’ milk varieties handcrafted in the small plant in the French Dordogne. And not to forget the Camembert and Brie specialities produced at Old Europe Cheese in the US, which have brought us a great deal of recognition from the start. 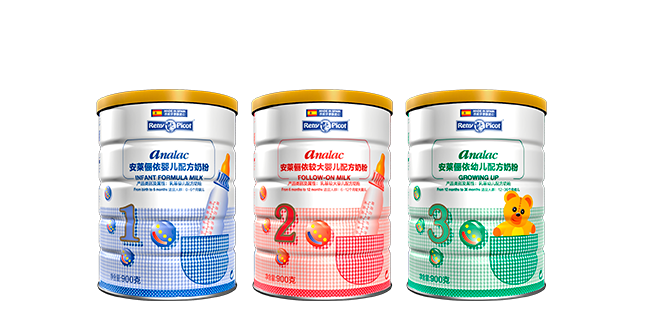 Our drive to diversify and to embrace new technologies led to our involvement in the production of infant formula and baby food, which we have developed through close collaboration with leading specialist laboratories. This is a specialist sector in which we continue to develop new and improved lines, in addition to opening new markets where these kinds of products are increasingly relevant. Supported by the pillar of our business – the efficient use of our prime material, milk, and the use of the most advanced technology in its treatment – Reny Picot manufactures a wide range of products subjected to the most exhaustive quality controls, ensuring the characteristic high quality and good taste of our products. Our extensive experience in the dynamic and evolving market of cheese and butter allows us to offer a great variety of products and flavours, catering not only to the staple needs of our clients but also to the niche demands of each segment. Thus Reny Picot continues to be a leading manufacturer in the spectrum of dairy produce, from all kinds of butter, characterised by their rich flavours, creams and sauces, whose textures are crucial in cookery, a sweet trolley of desserts, and, of course, all varieties of milk, in order to respond fully to the demands of our customers.